For the second day of Guilt free Indulgence, I have a laddo made with Poha or Flatten Rice made with Jaggary and nuts. 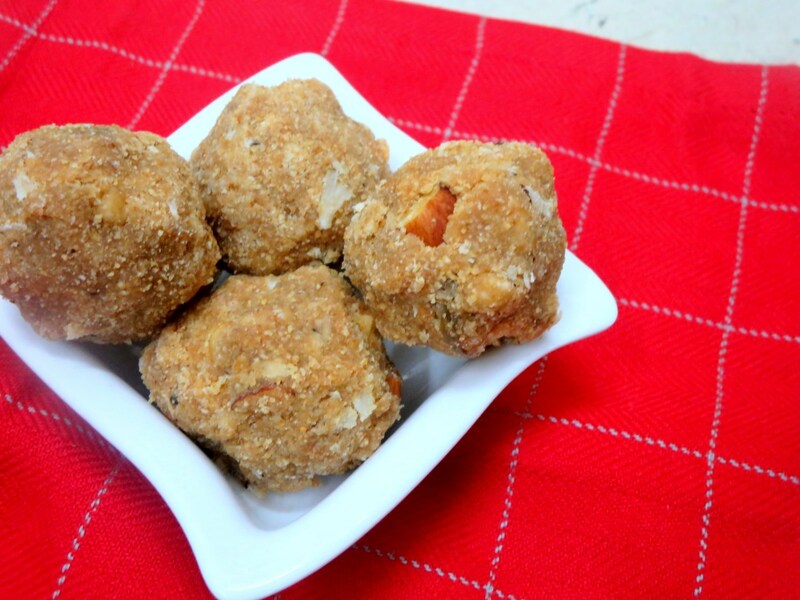 When it comes to Indian Sweets, Laddu feature a lot in terms of easy preparation and so much variety. We use both sugar and jaggary for all sorts of laddos. 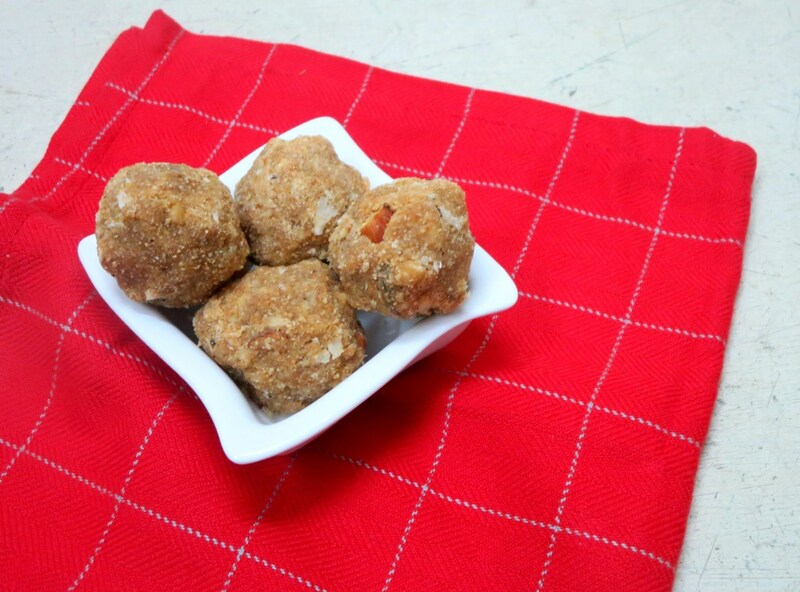 With Sugar, the laddos naturally taste great, like the Rava Ladoo. That’s one of Amma’s signature dish and one made quite frequently at home. Apart from these laddoos, we can make Laddos with anything and everything. While the laddos with sugar is always tasty, the laddos with jaggary takes getting used to it. We have grown up eating the laddos with jaggary. Now with everybody being so health conscious and wanting to avoid refined ingredients, many have resorted to jaggary etc. Wash and dry the poha. Roast the poha over hot kadai with little ghee and let it cool. Once its cooled, pulse it to a fine powder. Add jaggary to the mixer and grind it along. Let it come together. Transfer to a bowl and add fresh coconut. Make tight balls. I love jaggery sweets more than sugar these days valli. Looks totally yumm. Flavorful treat!!! I would love to indulge in those laddos anytime. Yes, laddos are mother of all Indian sweets. Poha laddu looks delicious. I have never tasted poha ladoo. But my mom used to make ladoos with jaggery. Poha and coconut sounds tasty. Hmm..yum. Ladoo ! Anytime , I have a special corner in the tummy which can store the ladoo anytime. Love the Poha idea. Would love to grab and have some laddoos now, my favourite poha laddoo..
Looks yum Valli. Needless to say I plan to make it for myself. Poha and jaggery laddoos sound so healthy & delicious. Simple and delicious laddus, Valli. Tasty and totally guilt free is the dream combo! This looks lovely!